The Phantom Miro LAB 320 brings Phantom quality imaging to a body style that has been designed for laboratory and indoor use. The camera includes compatibility with hot-swappable CineFlash recording media while maintaining the compact body style often necessary in laboratory settings. The Miro 320 has 3 Gpx throughput to deliver the 2 Mpx imaging in a cropped 35mm format. Like other Miro cameras the LAB 320 has interchangeable lens mount options to accommodate Nikon, PL, C, and Canon EF (with electronic control) lenses. The small body design is extremely lightweight weighing approximately 3 lbs (1.4 kg). The compact body increases the flexibility of use, a critical factor when working in enclosed and small in-door environments. Common resolutions and frame-rates, other resolutions available. This >2 megapixel camera with 3.2 Gpx/s throughput sets a new standard for price/performance and ease-of-use in the high-speed imaging industry. The maximum resolution is 1920 x 1200, but other common resolutions such as 1152 x 1152 are also available. At 1920 x 1080 HD resolution, the camera can shoot over 1500 frames-per-second. And, the camera sports a number of advanced features such as: CineFlash storage, Canon EOS lens mount, and internal capping shutter, all in a small, rugged package. Available only in the LAB style. 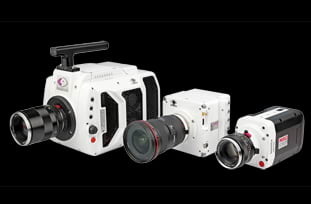 See the Phantom Miro 320S Cameras for other styles. Pickle Switch. Connect to the Trigger port on camera or Capture cable, breakout box or Mini-BOB for manually triggering a camera with the press of a button. The Pelican 1510 is the perfect size for Miro midsize models plus common accessories. This case has wheels, and comes with an adjustable padded-divider set to accommodate various configurations while protecting your valuable equipment during shipping, storage and travel. Removable CineFlash media compatible with all Phantom Miro M, Miro R, Miro LC and Miro LAB camera models. Available in 120GB and 240GB sizes. Phantom CineFlash Dock with ESATA and USB3 Connection to PC. What is the difference between the new Rxx1 cameras and the previous Rxx0 cameras? There are only a few changes, but they are important. First, we’ve added a door to cover the CineFlash slot. This makes the camera more compatible with harsh environments and outdoor applications. We’ve also added our internal mechanical shutter as a standard component. This allows for remote and/or automatic black referencing, ensuring optimal image quality on each shot. Adding this shutter leads to the next difference: the shock rating with the shutter is now 30Gs which is lower than the shock spec on the older R-Series. 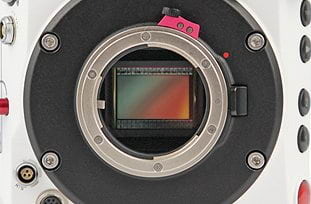 If you plan to use the new R-Series cameras in a high-shock application (such as crash test), you’ll want to have the internal mechanical shutter removed—there is an option you can select when you order the camera that will do this. Without the shutter, the shock rating is 100Gs. The camera retains the highly rugged metal body along with CineFlash system compatibility and battery operation. What is the difference between the new LCxx1 cameras and the previous LCxx0 cameras? There is one main difference between the two Miro LC versions. The newer LCxx1 camera models use a 4.3” multi-touch surface capacitive touchscreen. The original LCxx0 cameras used a 4” capacitive touchscreen. They are similar, but the newer screens incorporate newer technology that will provide improved touch accuracy and better handheld performance. The other difference is the lack of physical buttons on the LCD window – one button was used to re-set the menu, which is no longer needed with the newer screens. Just tap the center of the screen to bring up the menu. The second button moved the on-screen menu display from the LCD panel to an external monitor (over SDI or NTSC/PAL). This functionality still exists by using two fingers to expand the display off the screen and two fingers to bring the display back onto the side LCD screen. Otherwise, all specs and menu options are exactly the same between the two versions. How does the Miro LAB differ from other Miro models? The Miro LAB is designed for office-like environments such as you’d see in many laboratories, classrooms, etc. 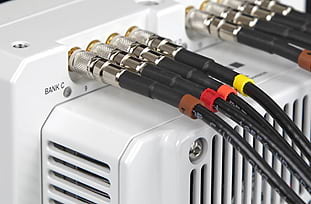 So, the LAB uses industry standard connectors for Ethernet and I/O instead of the more ruggedized custom connectors found on the M-, R-, and LC-Series. Also, in an office-like environment, there is good assurance of reliable AC power, so we have eliminated the battery backup feature on the LAB-Series. Finally, since the camera is always used in a computer-tethered workflow, there is no need for a video monitor or remote control access. Otherwise, it inherits all the features and proven design of the Miro Family of cameras. Does the LAB-Series support the CineFlash storage system? Yes! However, unlike the other Miro Family members, a CineFlash and CineFlash Dock do not come bundled with the camera. A kit containing these items is available as are individual items as needed. What is the difference between the LAB310 and the LAB3a10? We have feedback from customers about the need for a 1 megapixel camera with smaller pixels than the 20 micron pixels on the LAB310. Smaller pixels have advantages in some applications. So, we invented an “alternate” (thus the “a”) 1 Mpx camera. The LAB3a10, in fact, is a 1.6 Mpx camera with a maximum resolution of 1280 x 1280. The square aspect ratio is also an advantage in many imaging applications. Now, you can choose whichever 1 Mpx camera best meets your needs. Your sales representative can give you more details about the advantages and disadvantages of large versus small pixels. The LAB3a10 at 1280 x 1280 and with 10 micron pixels, has an image circle that is greater than 18 mm diameter. What lensing can I use to cover that area? Sensor coverage will only be a consideration if you have a C-mount on the camera. The other mounts—Canon EOS, Nikon F and PL, support 35 mm lenses and cover the sensor easily. However, a standard 1” C-mount lens may vignette, especially at shorter focal lengths. We recommend the use of a 4/3” C-mount lens with the LAB3a10 when equipped with a C-mount. We have a selection of five different focal length 4/3” lenses from KOWA available. These and other 4/3” C-mount lenses are readily available from a variety of sources. How do you determine the light sensitivity of your cameras? We test the ISO of every Phantom camera model to the industry standard ISO 12232. We use the SAT method which we believe is the best method for determining a sensor's sensitivity. The SAT method does not use gain to boost sensitivity. When using gain to increase sensitivity, you also boost the noise level. A gain adjustment to boost sensitivity is available on all Phantom cameras using image processing tools, if increased noise can be tolerated. Per the spec, we will often publish both a Daylight (D) and a Tungsten (T) value because the source of illumination has a significant bearing on the result, particularly with monochrome sensors. When T or D is not specified, it can be assumed that the value published is the Daylight variant. Please note that most modern Phantom cameras include Exposure Index control, which will boost the apparent ISO through the use of pre-defined tone curves that get applied to the raw images. The exposure index (EI) range is specified by Vision Research per camera model to ensure optimal image quality throughout the range. I want to use my Phantom camera for capturing underwater events. Do you have any underwater housings available? If you supply underwater housings or know of another supplier, please let us know so we can add to this list. What is "circular buffer" or "loop" recording? Most Phantom cameras come with a fixed amount of high-speed dynamic RAM. When the camera is in the pre-trigger mode (you've pressed "Capture" in the user interface), the camera is continuously recording images into that memory. When it gets to the end of memory, it cycles back to the beginning and continues recording, constantly overwriting itself – until the camera is triggered. This behavior is called "circular buffer recording". What you end up actually saving in memory is a function of how you've set up your trigger. It can be set so that only frames that occur after the trigger are saved (100% post trigger). In this mode, once the trigger is pressed any images already in memory are overwritten and you record until memory is full, then it stops. If you set the trigger to stop the recording (0% post trigger) and save all frames up to the time of the trigger, the camera will simply stop recording upon the trigger and all the frames in memory before the trigger will be saved. Finally, you can set the trigger anywhere in the middle, for example having 90% of the recorded movie be what happens prior to the trigger and 10% after the trigger. Can I get a datasheet for my discontinued cameras? I am looking for a wireless remote control for my Phantom camera. What is available? The Phantom RCU is a legacy solution for Flex, Miro and v-Series models. The Bluetooth dongle that was designed for the RCU also works with the handheld PCU from AbelCine, which is also compatible with most modern Phantom cameras. 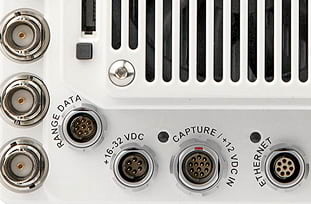 The Bluetooth dongle is needed for wireless connectivity with the RCU or PCU and connects to Phantom cameras with a “Remote port” (v-Series, UHS and Flex cameras). 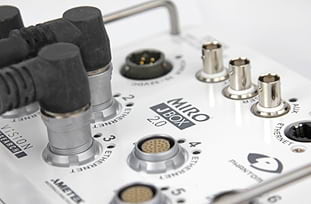 Note that Miro and VEO camera models do not have a ‘Remote’ port directly on the camera body. 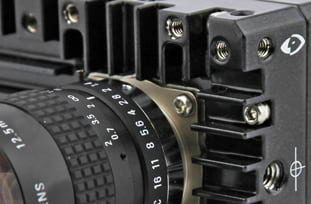 However, VEO cameras can be connected using the CAMEO VEObob accessory. The Semote handheld remote controller includes a handheld unit and camera unit to transmit the signal. This device provides a connection up to approximately 30 meters. The iPhantom app works on any Apple IOS device, and connects to any Phantom camera that has a WiFi router attached to the camera. This is particularly great for VEO S-model cameras (with firmware after version 106), because those cameras include a USB port for a USB WiFi dongle available from Vision Research. What type of training classes do you offer? We offer hands-on training for Phantom cameras at our Wayne, New Jersey facility. The two-day class has both lecture and labs for the best learning experience. This class is targeted at applications where the cameras will be used for scientific and engineering applications. For customers outside of North America, who prefer local training, most of our International Sales Partners offer training courses tailored to your needs. If your application is TV or Motion Picture production, consider training courses targeted at those applications from AbelCine, or other Phantom resellers around the world who focus on the "entertainment" market. Do your products have a CE Declaration? How do I get my video into your Gallery? 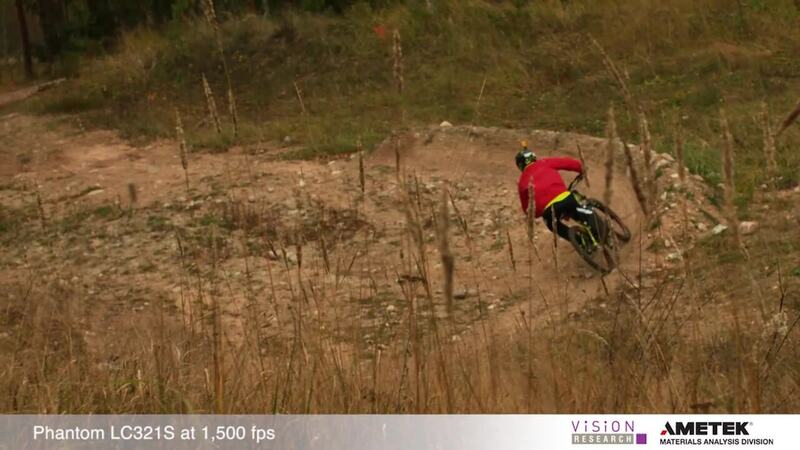 Vision Research welcomes slow motion videos from our industrial users as well as our entertainment customers. Submission is easy. Send us an email (phantom@ametek.com ) that explains what you’d like to share. In the body of the email give us all the details about your shoot, equipment used, workflow and anything else you think we need to know. We will send you a permission to use form to complete. This form gives us permission to use your footage and tells us how to credit your work. Once we get the completed form, we’ll work with you to get the footage (we prefer the original cine file). Then, we’ll post your high speed video in the Gallery and on our YouTube channel. Slow motion videos in our Gallery are rotated on a weekly basis and randomly chosen for inclusion into the Gallery. Is there some way to be notified anytime Vision Research introduces new products, or posts software or firmware updates to the web site? What are the Export Control Classification Numbers (ECCN) for your cameras? All Phantom v-Series cameras with the Airborne option (these are no longer shipping) are classified as ECCN 7A994. All Phantom Miro Airborne and Miro Airborne HD cameras (these are no longer shipping) are classified as ECCN 9A991D. Any Phantom camera with the FAST option installed (typically this gives you frame rates >= 1,000,000 fps and/or digital exposures < 1 microsecond) such as the Phantom v611, v711, VEO 710 and the Ultrahigh-speed 10, 11, and 12 Series are classified as ECCN 6A003 and are export controlled. Australia, Austria, Belgium, Bulgaria, Canada, Czech Republic, Denmark, Finland, France, Germany, Greece, Hungary, Ireland, Italy, Japan, Latvia, Luxembourg, Netherlands, New Zealand, Norway, Poland, Portugal, Romania, Slovakia, Slovenia, South Korea, Spain, Sweden, Switzerland, Turkey, United Kingdom. All other countries require an export license. All other Phantom cameras are classified as ECCN EAR99. Captured with a Miro LC320S at 1,500 fps.